These brussels sprouts with butternut squash are truly a vision and taste of fall. 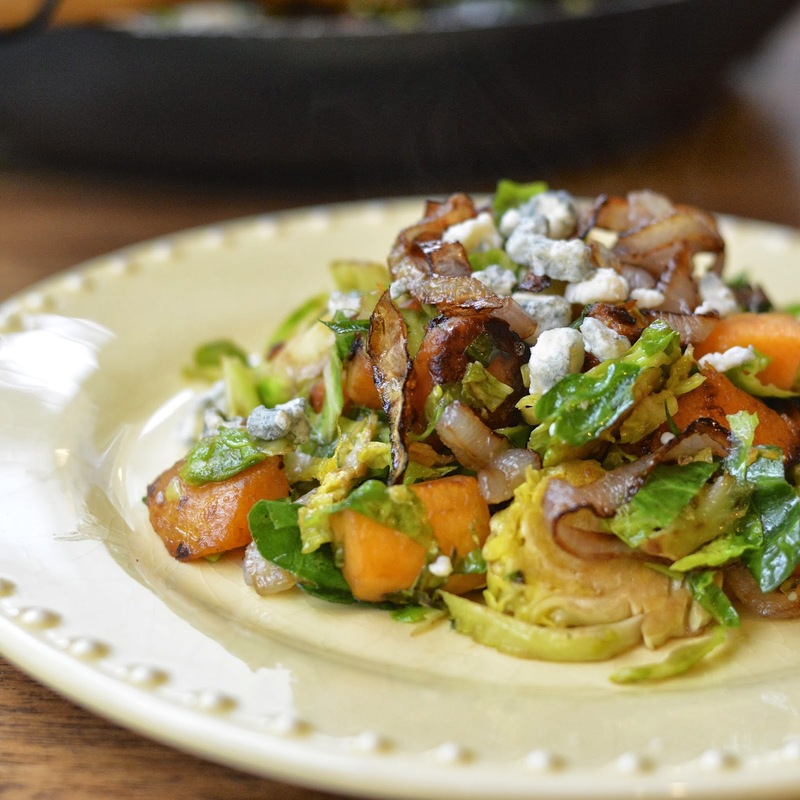 Add some shallots and Gorganzola and your tummy will be very happy with this mix of distinct and savory flavors. Ever since I realized that steaming brussels sprouts is not the best way to cook these little circular wonders, I’ve been obsessed. I can truly say I love this green globe shaped veggie. 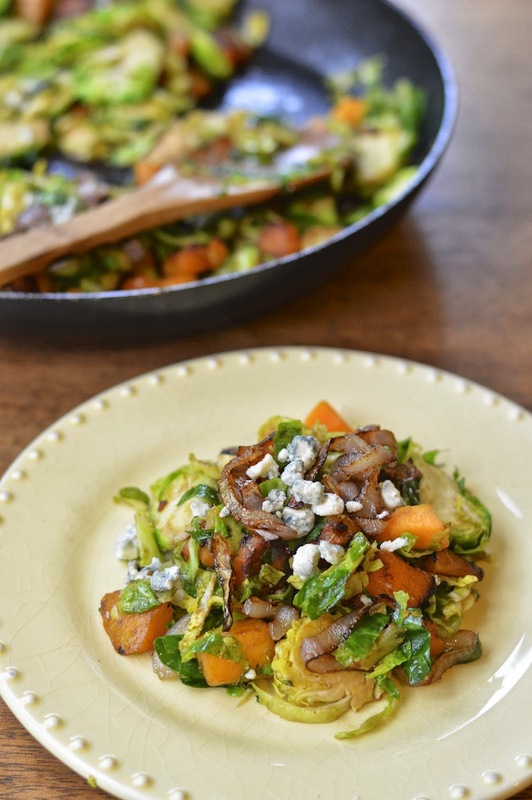 My favorite preparartion is shredded and sautéed with olive oil, red pepper flakes and kosher salt – easy peasy! I also love them sliced in half and roasted with a litlle bit of balsamic. Again, super simple and incredibly delicious. This dish gets a little bit crazy by combining my two favorite venues for cooking the sprouts – pan roasting. 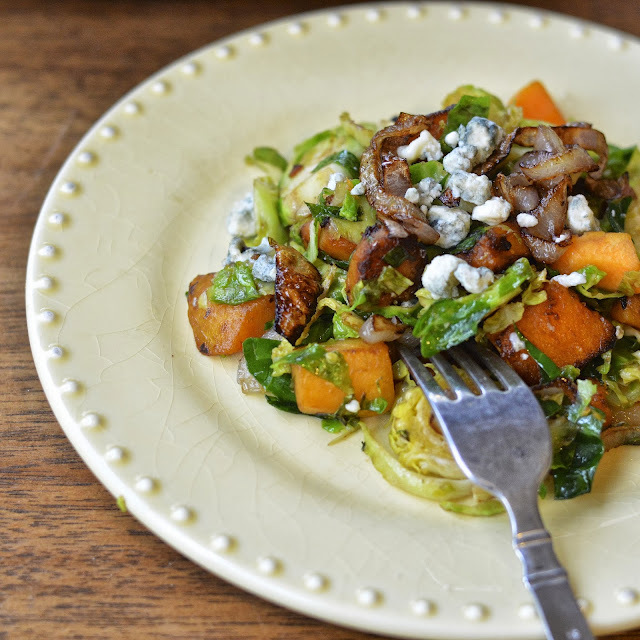 I added butternut squash to bump up the autumnal sweetness, crispy shallots just because they are delicious and Gorgonzola to give the dish that extra edge on your palate. If you have kids in the house you can omit the Gorgonzola and the dish will still be excellent. If they are anything like my teenagers, they will make gagging noises when they see the blue cheese and refuse to eat straight up mold! They don’t know what they are missing :). A few quick recipe notes. I bought pre-cut squash. For some reason it was very well priced at Von’s (Safeway), so I snagged it up. Peeling and cubing butternut squash is up in my top 5 dreaded kitchen duties; right along side grating onions. 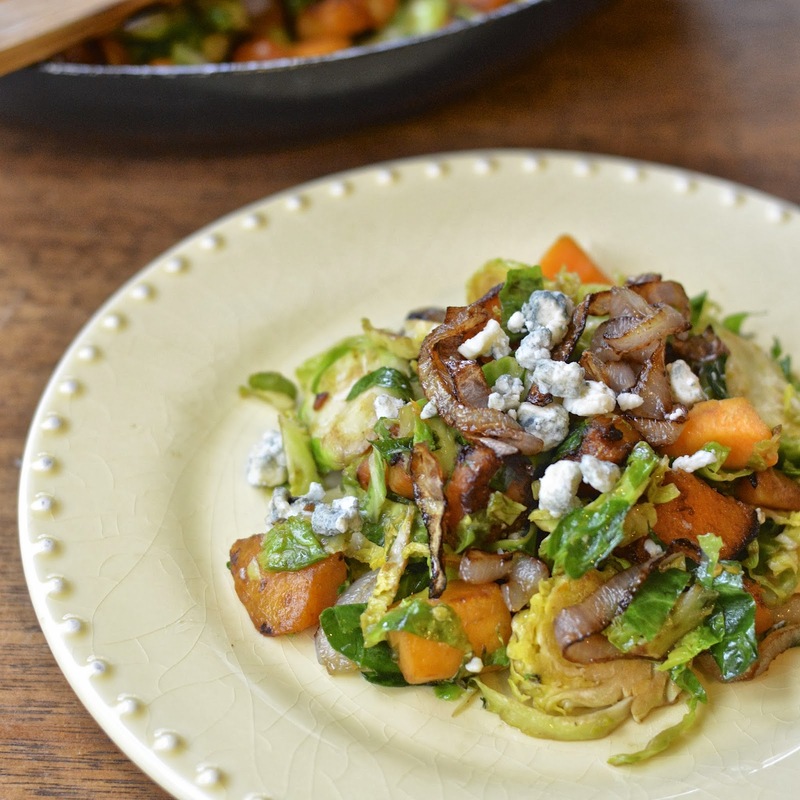 I also saw that bagged shredded brussels sprouts were available - but thinly slicing this veg is not that bad! Heat oil in a large flat bottom sauce pan on medium high. Add squash and let sit until edges start to turn golden brown (3-5 minutes). Stir squash so that other sides brown as well for an additional 5 minutes. 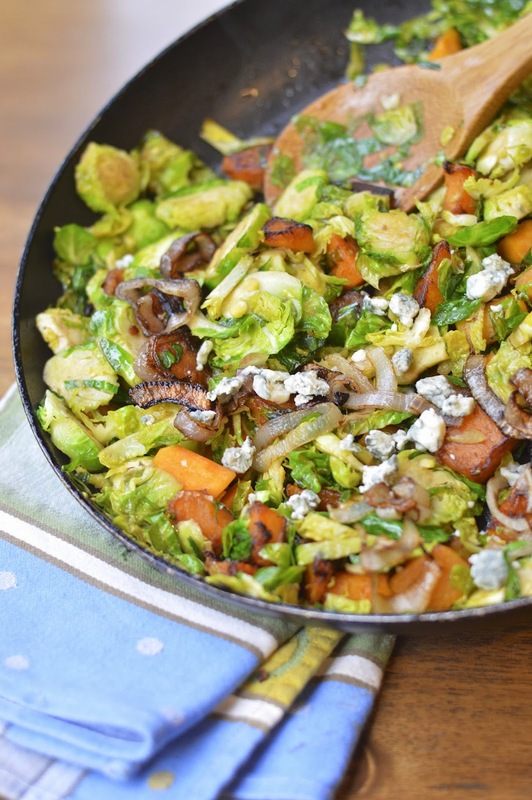 Add brussels sprouts, vinegar and salt. Cook on medium for 5- 8 minutes or until sprouts are of desired doneness. Sprinkle shallots and gorgonzola on top. Serve immediately.